As a child in religion class, our teacher once told us that we seemed to hurry through prayers as fast as we could. By memorizing and saying prayers by rote, she said that we were losing the essence of communication that is important in praying. “You should understand and mean what you are praying” she told us. 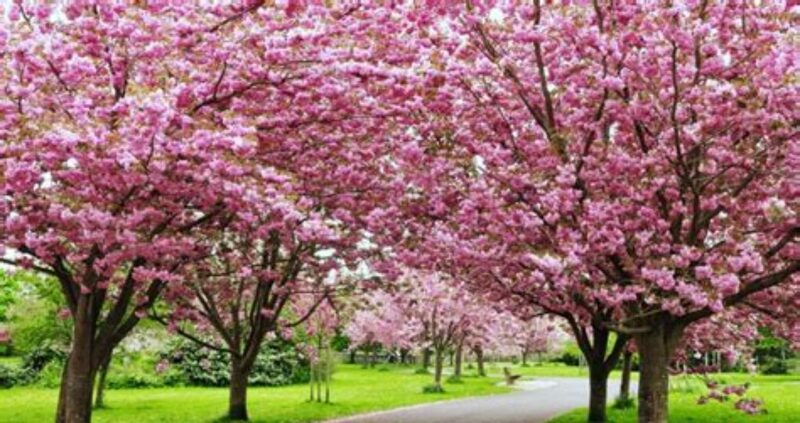 “Slow down and mean the words you are saying….one prayer with feeling is more meaningful than 100 prayers of just repetition”. Jesus then instructed the people on how to pray — ‘to go privately (into your closet or shut the door behind you) and pray to Our Father in secret, not like the hypocrites who love to pray publicly where everyone can see them. Your Father, who knows all secrets will reward you.’ Jesus taught that when you pray, don’t babble or use repetition of words because your Father, knows exactly what you need even before you ask him! For thine is the kingdom,The power, and the glory, For ever and ever. Our Father which art in heaven; When we pray to the Father, we are in communion with him and with his Son, Jesus Christ. It is a blessing of adoration for the glory of God that we should recognize him as “Father,” the true God. We also acknowledge that we pray as children to Our Father, who dwells in heaven; and with Him as our Parent, we are in brotherhood with all brothers and sisters here on earth. Heaven does not mean a place, but a way of being; it does not mean that God is distant, but majestic. Hallowed be thy name; We give him thanks for having revealed his name to us, for the gift of believing in it, and for the indwelling of his Presence in us, to recognize Him as holy, to treat His Name in a holy or hallowed way. Some call Him – God, Father, Yahweh, Jehovah, I Am. Thy kingdom come; The Kingdom of God lies ahead of us. It is brought near in the Word incarnate (Jesus), it is proclaimed throughout the whole Gospel, and it has come in Christ’s death and Resurrection. The Kingdom of God has been coming since the Last Supper and, in the Eucharist, it is in our midst. The kingdom will come in glory when Christ hands it over to his Father. “The kingdom of God is righteousness and peace and joy in the Holy Spirit.” The end-time in which we live is the age of the outpouring of the Spirit. Thy will be done on earth as it is in heaven; Our Father desires “all men to be saved and to come to the knowledge of the truth.” He “is forbearing toward you, not wishing that any should perish.” His commandment is “that you love one another; even as I have loved you”. This commandment summarizes all the others and expresses his entire will. He has made known to us the mystery of his will, according to his good pleasure that he set forth in Christ . . . to gather up all things in him, things in heaven and things on earth. In Christ we have also obtained an inheritance, having been destined according to the purpose of Him who accomplishes all things according to His counsel and Will. We ask for this loving plan to be fully realized on earth as it is already in heaven. And forgive us our trespasses as we forgive those who trespass against us: Although we are asking God to make us holy and recognize His Holiness, we are still sinners. In Jesus, we have redemption and forgiveness of sin. God’s mercy will not penetrate our hearts if we, in turn do not forgive others who hurt us. We cannot love the God we cannot see if we do not love the brother or sister we do see. In refusing to forgive our brothers and sisters, our hearts are closed and they are hardened to Our Father’s merciful love; but in confessing our sins, and forgiving others, our hearts are opened to His grace. But deliver us from evil: When we ask to be delivered from the Evil One, we pray as well to be freed from all evils, present, past, and future, of which he is the author or instigator. Along with deliverance from the evils that overwhelm humanity, we pray for the precious gift of peace. “For the kingdom, the power and the glory are yours, now and forever” AMEN. As we look around and see results of the recession in some lives of family and friends, we can see how expectations for a good life can meet with disappointments. We can learn from what caused the recession. 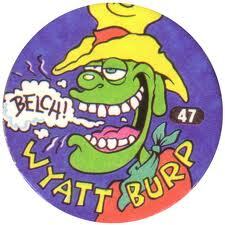 “It’s a boom-bust world” says Kenneth Rogoff . When asked what caused the worst recession to grip the globe in decades, Professor Rogoff, a Harvard University economics and public policy professor, said history shows the pattern. Recessions follow booms. Expectations for prosperity caused great disappointments. We can say these circumstances were beyond our control and yet, they cause disappointments. Big, major disappointments. What if we add all those big ones to all those little disappointments we experience each day? 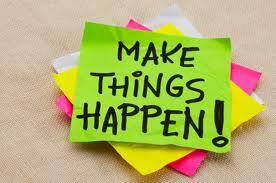 If we depend on circumstances to gauge our happiness, we are in jeopardy because circumstances are constantly changing. And like the big ones, they are beyond our control. You might say you don’t do that. In a day’s time you may do it more than once. I use to. I have felt like that when a great promotion was coming up that I just knew I was ready for; it was ‘my time’ in the department to move up, and I ‘sensed’ that I would get it — and I didn’t. I ‘expected’ the schools to close due to the bad weather, but it didn’t, and I had two teens bored from being indoors with ‘nothing to do’ while I had made my own plans for that day. I expected’ that I would get an “A” I worked hard for in my writing class, and instead, I got a “C.” No way! I expected my best article ever to be selected for a contest, and it didn’t. I set myself up for these disappointments because I ‘expected’ them. 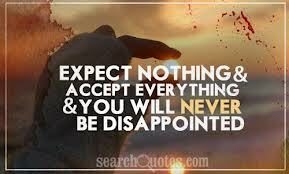 When you place your expectations on people, you will usually be disappointed. 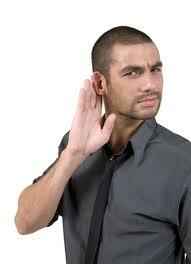 A good friend whom you thought would never betray you, may have told another of a secret you told him. Or your child may turn off into another path you had not envisioned for them. Or an illness in the family changed the dynamics of plans you had made. You may be having a divorce which separates the family into a lifestyle you never thought or expected would happen to you. Crushed expectations; big disappointments. Life and people change; the unexpected happens. To us all. I know that men and women can never fulfill all of each other’s needs. Only God can fill that place in my heart that needs that fulfillment. 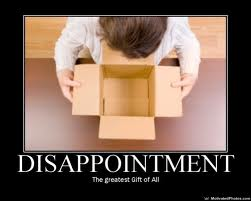 But I use to expect them to and in those expectations of them, when they don’t or cannot, I was disappointed. Disappointment is ‘the first seed of doubt’ and can lead to defeat or depression. So how do we learn not to expect things from others, not to lean on others for our joy or happiness? Can we unlearn the emotion of expecting others to fulfill our needs and do the things we think they ought to do? Yes, I believe we can. God made all of us in His image – not everyone else’s image. We are all separate beings. He did not make a commandment saying, “Thou shalt expect others to fulfill our needs and do what we want them to do.” Actually, the commandments are a compilation of honoring and doing good to others ;not expecting them to do good for us. 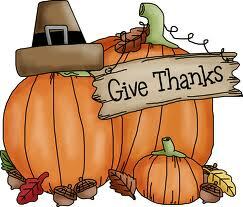 My answer to “Have no Expectations – Have no Disappointments”, is to experience gratitude and thanksgiving. By daily acknowledging gratitude for all the gifts and blessings I have in my life, I make them more important than the things I expect or want from others. I had a tremendous expectation turn into disappointment with my teen-age son. It was a turbulent time and I loved him, but did not like him much. The disappointed expectation turned into a life role play where I was the mother of expectations and he was the child of disappointments. I had visions of what he should do with his life and he had much different views of what he wanted. So much so, that it affected our relationship and the whole family was affected. I finally went to a trusted family counselor and gave him my story. He wanted my son to come in to hear his view. That being done, he then told me my son did not have to come back, but I did. What? Is there some mistake here, I am paying for this session and I’m the disappointer? I made a habit of gratitude instead of expectation. Don’t grumble or murmur if your mate forgets to put the mail out. Yes, you expect him to do that every morning, but he was in a hurry today. Instead, call him and ask him how his day is going and don’t mention the mail. It will get where it’s going. Expectation can become a habit and sometimes the more you expect, the more you want. Then you have to deal with more disappointments. Thinking of Borrowing from your 401k? First ~ Know the Rules! In these lean times, your savings account may be decreasing and you may need some extra cash. Loans are hard to come by with banks and lending institutions. Borrowing money from friends and family may not be an option for you. Your retirement funds are nestled away in your 401k plan but it’s always been advised that you don’t touch it unless it’s a hardship. If you are still working, your company may have some restrictions about borrowing or withdrawing from it, and if you are retiring or retired, your options will differ. The following are standard options for you if you are still working: There are usually two ways to withdraw from your 401K. You can withdraw money as  a loan to yourself or you can withdraw money by  claiming a hardship. Withdrawing monies as a LOAN. You are ‘borrowing’ on your own money according to the rules of your plan and pay yourself back with interest (usually the going prime rate plus 1%). You can take up to five years to repay the amount borrowed. In a loan to yourself, there are no restrictions on why you are withdrawing: it could be a large personal purchase, wedding expenses, a new car or anything you may want to buy. There are no tax penalties involved in this type of withdrawal. Repayment of loans are taken out automatically from your payroll check. You may repay back the entire amount of the loan without any penalties. 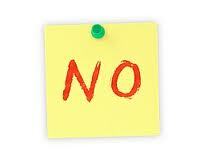 Some 401k plans require a spouse’s approval for any loan amount. [a] the money you withdraw will hamper your retirement funds with the loss of five years of compound interest – the “golden egg” of 401ks. Compound interest charts will give you an idea of what you may be giving up by losing all the compounding interest that you could have earned, therefore diminishing your future earnings. [b] If you leave the company or are terminated before the loan is paid off then you have to repay the loan upon your termination or it will be considered as an ‘early withdrawal’ and the penalties that come with it — plus taxes. We all know that there are life events that could force you to withdraw from your 401k if there are no other financial sources, such as a home equity loan. 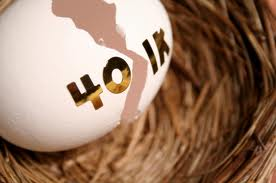 The only other way to withdraw on your 401k is to claim a ‘hardship’. Withdrawing monies as a HARDSHIP. Hardships are defined as : overdue medical expenses; avoiding foreclosure (stipulations vary), funeral expenses, and college tuition. These hardships require documentation to prove that you have no other assets to draw on before the hardship is allowed. [a] Not only will you pay income taxes on the withdrawal amount (as added income), but also a 10% federal penalty for early withdrawal. [b] You will be suspended from contributing into your account for six months, losing any company matching funds; a big loss that is hard to recoup, again, by losing all the compounding interest that you could have earned, therefore diminishing your future earnings. [c] If your employer goes bankrupt or you’re laid off, the loan automatically becomes due. You will be given a certain amount of time to pay it back. If you fail to do, you will be classified as “default.” If you are on default for a 401k loan, you will be charged a 10% penalty fee for the outstanding loan amount as well as pay federal and local state taxes. These withdrawal options above are for when you are still working on the job. 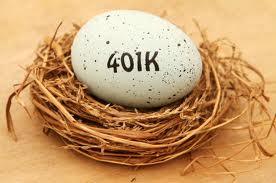 It is advised by financial planners that when you leave your company or retire, you should roll your 401k into an IRA or other stable or fixed fund investments. Disclaimer: These materials have been prepared for information purposes only. They are not intended to be nor do they constitute legal advice. Sandwiched between Mother’s Day and Father’s Day are Grandparents. What would we do without grandparents? I remember a story about a young man who was very close to his grandmother. On her deathbed, when he went in to say his goodbyes, his grandmother took his hand and told him, “I believe in you. You will be very successful one day”. This young man always remembered her prediction and went on to become successful in work, family and life. He believed what she told him and it became self-fulfilling. 1) Blessed are the grandparents, who lovingly and joyfully come to the aid of their children and grandchildren in times of joy and in times of needs. Especially blessed are those senior parents who live some distance away, and bond with their little ones by phone, letters, e-mails, tapes and videos. The warmth from these communications lessens the distance between them. 2) Blessed are the grandparents who comfort their grandchildren in times of trouble, sorrow, disappointment, and maybe just for not making the football team or cheerleader squad. 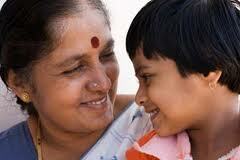 Grandparents’ comfort in caring for them gives them extra assurances of love. 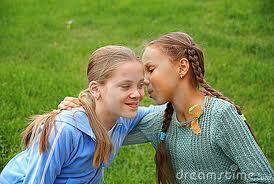 A kind and understanding word goes a long way, and is most special from a grandparent. 3) Blessed are the grandparents who instill confidence and self esteem to their grandchildren by appreciating and acknowledging their achievements – educationally, athletically or spiritually. Extra blessings for those grandparents who live nearby and attend school functions, class trips or school plays. Their presence lights up their grandkids’ activities. 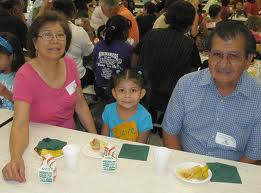 Attend a school lunch or a midget football game and watch how happy kids are that their grandparents are there! 4) Blessed are the grandparents who mentor their grandchildren with ethical issues, honesty in all things and offer themselves as examples of what kind of adults they should aspire to be. 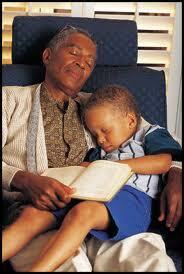 A grandparent’s fine example is better than reading a book about it. 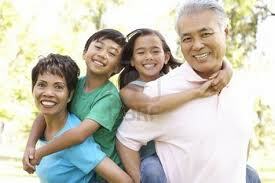 Kids emulate their parents and their grandparents. 5. Blessed are the grandparents who are patient with their grandchildren, especially if there are issues of fighting, misbehaving or argumentative displays between siblings. Especially blessed are those grandparents, who use tactics of understanding, forgiveness, and persuasion to bring calm waters to a stormy situation. Sometimes, a grandparent’s input is listened to more than a parent. A grandparent can be a great equalizer. 6. Blessed are the grandparents who act as peacemakers, not only with their own children and their family, but between grandchildren, too. It is a blessing when there is no finger pointing or taking sides or adding fuel to a fiery situation during family arguments. Grandchildren recognize grandparents ‘having some clout over their own parents’ actions; and that ‘clout’ is directed towards unity and not divided-ness. 7. Blessed are the grandparents who can overlook the young grandchild’s honest remarks about them; ie, you are old; you look fat, you look skinny, you aren’t as good on the computer as my mommy ; you walk funny; why is your hair gray? – and are serene enough to remember they are children and do not mean disrespect. Blessed are the grandparents who can make a joke or gloss over ‘truthful remarks’. Parents especially are thankful for this. 8. Blessed are the grandparents who are young in spirit and ‘play’ with their grandchildren. Kids LOVE to play and grandparents who usually have more time than their own parents to play board games, watch them on PlayStation [very boring, but kids love for Gramps or Nana to watch them] or even games you played when young. Kids love bingo, scrabble, monopoly, checkers, etc. or you can teach them card games or chess. Playing and having fun makes a strong bond between generations. Both enjoy these activities. Kids are very competitive and extra-blessings to grandparents who allow them to win sometimes. 9. Blessed are the grandparents who attend church functions with the family. Even if visiting on a trip and Nonna lives far away, going to church with the grandkids brings an extra bond in relationships. Kids listen to Grandma’s input on spiritual matters as well as others, and they will ask her questions they won’t ask other adults. She listens to them and answers them as best she can. A spiritual bond is a lasting bond. 10. Most blessed are the grandparents who show affection and love to these small people – and most find it very easy to do. The grandkids know how important Mimi and Pop-Pop are to the family unit, and how their unconditional love is the only one they will know besides their parents’. They know it and bask in it. Maybe it can be that one day these children may live with their grandparents or they with the kids or grandkids, and the love element will allow that to happen with more ease and naturalness. There are countless ways that we are blessed with these ’surrogate parents’. Some are latch-key caretakers; some take the grandkids on vacations with them, or take them shopping which turn into memorable jaunts, or to the movies the grandparent really has no interest in going to, or simply reading and learning together. 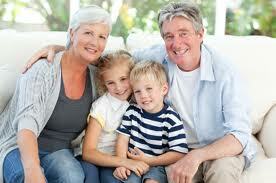 Grandparents are there for school vacations or extended visits. Grammy makes the best cookies and lets the grandkids help. Grandpa puts the miniature trains together and teaches anyone who wants to learn how to fish. The best gift that grandparents give is the gift of themselves; they make some of our best adult memories. If we are fortunate to still have them, we are ever so thankful. 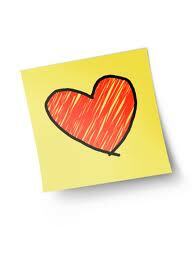 We all do things in love – for people. Whether it’s loving, cooking, shopping, repairing, teaching, listening, sharing, or whatever you give of yourself for another’s good; it’s a gift. Parents spend many years raising children, instructing them in life’s ways. Besides teaching them the rules of life, parents also share their love by supporting, encouraging, and nurturing. Although they are not seeking pats on the back for things they do, it is always joyful to parents when a child appreciates their efforts and shows gratitude and thanks them. It’s hard to give thanks or feel gratitude when the economy is poor; there are wars and rumors of war; heated disagreements over how the government should be run; yours or another’s job loss, foreclosures; and that’s not even counting personal problems caused by these things. It is disheartening that there are mega problems that surround us today. A hopeless feeling might come over some of us. 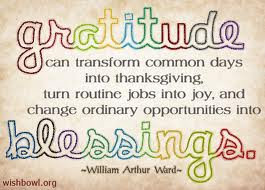 Have you even thought of giving thanks for anything recently? One of the ways you can get happier and over the disillusionment of life’s events is to start praising God and thanking Him. There are uncountable things we can thank him for and show true gratitude for. They can be little things; in fact, it’s the little things that change your heart from downtrodden to a cheerful heart. I thank God for opening my eyes to see every morning and being able to get out of bed. I thank Him for the capability to drive, work, exercise, read, share love with my family and friends and for every meal I partake. These are all gifts and blessings from God. Not everyone has them. I don’t pray every minute – but I do give thanks a lot. It’s a habit now. For every close call in a car, or every misstep that didn’t end in a fall, or even if I get to the bank just as they are closing the door, but let me in, I give thanks to Him and Praise Him. ‘All good things come from God’. They don’t have have to be lottery wins, or windfalls or extraordinary happenings. 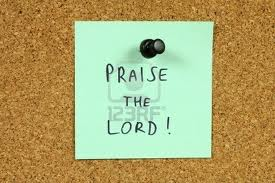 The more I praise Him and thank Him, the more cheerful I become. The negative things in my life become less prominent. Two matters cannot occupy the same space. My praises highlight the thankfulness; my thankfulness highlights the good and negates the bad; my gratitude is mind-changing. “Over the River and Through the Woods” is a well-known Thanksgiving song written by Lydia Maria Child. It was originally written as a poem, entitled “A Boy’s Thanksgiving Day and celebrated childhood memories of Lydia Maria visiting her grandparent’s house. Although it is sometimes substituted as a song for Christmas, our family never failed to sing this song in our unmelodic voices on our way to Thanksgiving Dinner at Nana and Grandpa’s house. Usually driving over a bridge brings it on and we break into song. It is a tradition that spills over into the grandkids. Thanksgiving, like Christmas, is a traditional family gathering either at our parents, if we still are fortunate enough to have them, or a sibling or whatever family member does the cooking that year. The holiday conjures up memories of other Thanksgivings and more often than not, there is a big stuffed turkey, with lots of vegetables and trimmings. If you are Italian, or any other nationality, there is sure to be favored ethnic dishes piled high. We try to make sure we have room for the pumpkin, apple and mince pies – what is Thanksgiving without the memories of feasts we’ve shared? 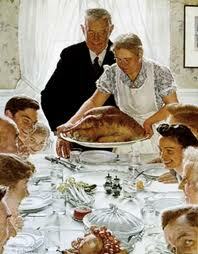 The day, of course, is in gratitude for all our blessings and family members. As we gather round, we are grateful for the gathering and maybe some new additions to the family. There may also be some empty chairs for many reasons that once were filled, and we are grateful for the memories we hold for these family members, too. We probably all have similar sayings and customs for this “Thank You” or “Turkey Day”. I always say something which my mother always said when we sit down at 3:00 pm for dinner, “Do you realize how many people are doing this same thing right now?”…..and most likely my daughter will say it someday when I’m not around in memory and fun. She does so already. Here are some of our happenings on this special holiday. After our first blessing, I ask one of the children to say grace. Children love to be part of an adult gathering and they love to say grace. 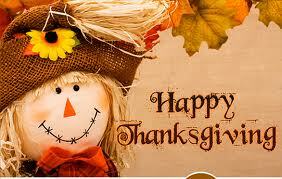 They are thankful for everything, so make sure all the plates are covered or they will get cold. The rest of the children want to add their thanks, too, and you get a good idea of what makes these little people the happiest. Anyone who wants to add a prayer, is welcomed. After dinner, we always go round the table and each person tells everyone what they are most thankful for this year. 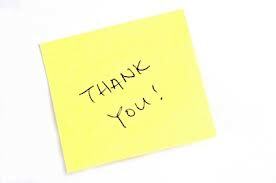 This is always special as some people always joke; some always get very serious; some get emotional; and some articulate beautiful thanks to someone there who especially went the extra mile to help them. This part of the meal – while digesting – and before dessert – is very family-oriented. No hand-held video games, ipods, or cell phones are brought to the table. The kids enjoy this the most. During dessert, we ask if anyone wants to do the ‘Christmas grab bag gift’ idea. We started this when the family and kids and grandkids started to number 30. Instead of buying small gifts for everybody, we have a grab bag. Everyone’s name goes in the hat and each person picks a name and buys a gift for that person and that person only. We put a price tag on it – one year it was $25.00 and that was a little too much for the teens and kids, so we settled on $15 or $10. It seems like Christmas is just around the corner from Thanksgiving. Once you make it yourself - you’ll never want the store-bought ricotta again. A couple of times each year, we get together with friends and make a pot of ricotta for supper. We like to serve it over day-old French or crusty Italian bread cut up in cubed pieces. The freshly made ricotta over the bread will soak up any excess water. The cheese will be creamy and light and delicious. We serve it with a salad or some fruit and a glass of wine. What a treat! You can make homemade ravioli, manicotti, or lasagna with this ricotta and it will lend a gourmet taste compared to the store-bought ricotta. You can also make desserts with leftover ricotta — ie, cannoli – you can buy the fresh, empty already baked shells at Lowe’s Food stores or at a local Italian deli. There are different recipes for the delicious cream filling – some just add sugar. There are good recipes on the internet. Here is a simple sampling recipe and just make sure you fill them no more than one day before serving and refrigerate! 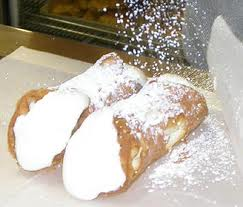 Fresh cannoli ~ delivering a little taste of Sicily to your front door! Blend cheese and sugar until smooth. Add remaining ingredients. Put filling into cannoli shell by teaspoon. Sprinkle with confectioners’ sugar. And now for the ricotta cheese-making part. It’s not hard to make, and doesn’t take that long to do. In all, it takes about 30 minutes from start to finish. It’s important to assemble all the utensils you will use because timing and temperature are crucial to the results. Enjoy! 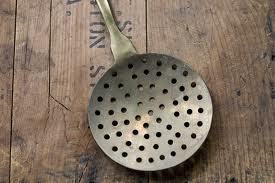 You will need a large stainless steel pot to mix in. You won’t need the cover. A long thermometer with degrees on it (similar to candy making thermometer) at least to 200 – 300 degrees. When the milk gets to 100 degrees on the thermometer, (pot will start to sweat on the outside), add the heavy cream and salt – continuously stirring always with the wooden spoon. Scoop out curds/cheese with slotted spoon into large dish – some drain the cheese through cheesecloth for a firmer ricotta; we prefer to leave some moisture in to keep it moist. This cheese will last 3 – 4 days in the refrigerator. For breakfast, the ricotta is great on toast or served in a dish with fruit. 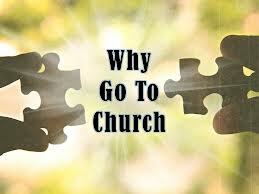 Why go to Church? I don’t have time. We live in an ultra-busy world. Technology gets us there faster, enables us to work faster, gives us computers, fax machines, cell phones, our Blackberry, iPods, notebooks – everything is speeded up so we can dance as fast as we can. Sometimes, economically, we have to work 2 jobs or both partners work; life is entangled. We’re all on roller skates. There’s barely enough time to do all we have to do – who has time to give a whole day and put it aside and keep it holy? Question: Who has time for faith? How do I get faith? I’d like to have faith, but where and how do you get it? Answer: You can start, get and keep faith by keeping the Sabbath holy. At the least, most faiths have services for an hour on Saturday or Sunday. This is time for regrouping of family; renewal of faith and refreshment. Keeping the Sabbath sets the pace for a ’day of rest’ be it spending a couple of hours ’together’ and/or awareness of God at least one day of the week. Some of us have to work on the weekends, but there are services during the week – as a day of rest- or at least a sharing of a Scripture over breakfast or dinner or watch a spiritual TV show to ‘keep a day holy’. Faith begins and grows with God’s Word, the Bible. Some find Scripture hard to read and understand. Joining a Bible class may aid you. For those who get frustrated easily, they can start with a New American Bible or a Good News Bible which is easier to understand. Sometimes reading the New Testament and/or Jesus’ words, usually in red or bold, is an incentive to pursue the Bible as a whole entity. Answer: Sabbath is a day of religious observance and abstinence from work, kept by Jews from Friday evening to Saturday evening, and by most Christians on Sunday. It is one of the 10 Commandments given to Moses by God. Question: Why should we remember the Sabbath and keep it holy? Answer: Sabbath is a sign in respect for the day during which God rested after having completed Creation in six days (Genesis 2:2-3, Exodus 20:8). The Bible tells us it is a weekly day of rest and time of worship. It is observed in Judaism and Christianity and informs a similar occasion in several other faiths. It is true today that many families have broken the tradition of keeping the Sabbath holy. Many families are Easter/Christmas/Channukah families and do not attend services the rest of the year. Many churches are attended by mostly seniors and children making rites in their faith, but young people, young mothers and fathers are sorely absent. And once the children finish their rites, they disappear from church with their families. When folks ask me, ‘how did you get your faith’, or ‘how can I get faith’ – I tell them to attend a church, temple or place of worship. There are many different denominational churches or temples like there are many people, and it’s important to go to one where there’s a good fit for your beliefs. 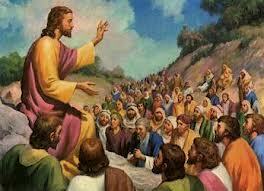 Sermons, homilies and services should provide direction and instructions from the Bible. Worship communities help bridge the gap between the Bible and today’s world and how we apply it to our lives. A person or family gets used to church very easily – it becomes a habit or ritual – going as a unit to worship or learn about God and His Word. Community of church are the people that attend church with you who can be tremendous helpmates in learning about God or sharing in life’s events with you. He gives us each week of our lives; why not give Him one hour of it? Bring your mate and family. Parents: It is the best gift you can give your children. 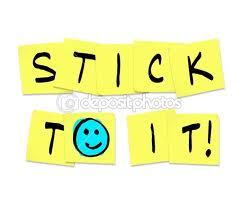 Try it ~ you’ll like it – and God will bless you. What & When is Advent & Why do Christians Observe it? The Four Weeks of Advent are the four weeks before Christmas on December 25th. 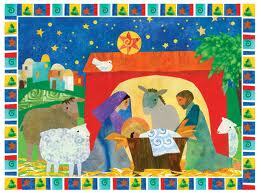 Christmas is the day Christians celebrate the birth of Jesus Christ, which believers have done since about 400 AD. ‘Christ’ means ‘Messiah’ or ‘Anointed One’. In the West today, the real meaning of Christmas is often forgotten. To many it has become or others want it to become a non-religious holiday. But the real Christmas story is found in the Bible. It is told in two different books: Matthew and Luke, Chapters 1 and 2. If you have no Bible, you can read these chapters online. 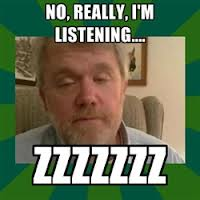 Some people actually believe that Christians celebrate Christmas for the coming of Santa Claus. This may be in part due to the secular advetisements and commercials which highlight Santa and his reindeer, and all the tons of presents one could aspire to receive and many other secular ‘holiday’ ideas in which the Christ in Christmas seems to be pushed aside farther and farther. But Jesus Christ’s birth is the true reason believers celebrate Christmas. Four weeks before Christmas, parishioners in the Catholic Church celebrate Advent. 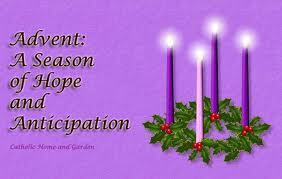 Advent is a period of joyful preparation and waiting, and extends over the four Sundays before Christmas. The word ‘Advent’ comes from the Latin advenio, meaning “to come to” and refers to the coming of Christ. Advent is a joyful preparation of Christ’s birth at Christmas, but also a waiting, for the Christ in His Second Coming. This year, Advent begins on the First Sunday of Advent, December 3rd, followed by the Second Sunday on December 10th, Third Sunday on December 17th, and the Fourth Sunday on December 24th. Rather than focusing on the secular display of Christmas, gift-giving or receiving, Christians celebrating during the 4 weeks of Advent open their hearts and minds to dwell on God. Advent is a time to slow down, to wait, and to notice. Isaiah tells us, ‘no ear can hear, no eye can see the wondrous deeds God has ready for us’ unless those ears and eyes are open to notice God’s presence in their lives. Advent prepares us for the coming of God much as preparation for the coming of the Infant Jesus at Christmas. During Advent, believers try to take even ten minutes out of the day in silence to watch for signs of God’s presence in one’s life and share that presence with others. The second week of Advent, we focus on transformation; God is calling us to renew our watch for Jesus’ Second Coming. 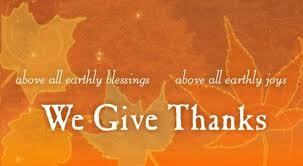 We give thanks for His constant care and the changing events in our life. This second week, we embrace change by the baby born in Bethlehem who proclaims changes for mankind through his later ministry. The third week of Advent calls us to be messengers of joy to each other, especially to the least among us. This is done through gatherings in faith sharing. This takes the focus off us, and turns to our brothers and sisters in need. Advent Calendars are primarily for the children. Kids love to count down the days until Christmas and this is precisely what the Advent calendar is. It is box like calendar that has a backing. The front has little perforated windows numbered 1 to 25. They are usually designated with religious images; and each window is opened each day starting with #1 on December first. Some calendars have chocolate surprises in them and others have religious pictures or sayings or small toy. December 24th usually has a picture of the creche and a surprise for the 25th. Prepare your heart for Jesus, this coming Advent; He is the reason for the season. © Marie Coppola Revised 2017; some rights reserved.